Charlton Champion exclusive: Greenwich Council deputy leader David Gardner has apologised to the academy chain hoping to run a Charlton primary school after criticising it in a letter issued to parents. Sherington Primary School is in talks with Leigh Academies Trust about becoming joining its academy chain, which includes 18 schools across south-east London and Kent. Earlier this month, parents at the highly-regarded school were handed letters from Gardner, which criticised the chain’s academic record. The letter was also published on The Charlton Champion. But now Gardner, who is cabinet member for education, has backtracked on his criticism, with Greenwich Council saying “the words … could have been better chosen”. In the letter, Gardner told parents that Greenwich had a strong record in running primary schools and there was “no pot of gold at the end of the academy rainbow”. He also criticised the high salaries paid to the chief executives and directors of academy chains, taken from a 5-10% “top slicing” of school budgets going towards their central funds, adding that Greenwich schools only paid 1% into central funds. Leigh runs two Greenwich schools for which results are available – a third, Leigh Academy Blackheath, opened in Woolwich in September, and plans to eventually occupy the former Blackheath Bluecoat School site close to Sherington. The first Leigh school, Stationers’ Crown Woods Academy in Eltham, has a Progress 8 – a measure of children’s progress between the ages of 11 and 16 – rating of “well below average”. But it has only run its second school, Halley Academy – the former Kidbrooke comprehensive school – since March 2018. Before that, it was known as Corelli College, and had also scored “well below average”. 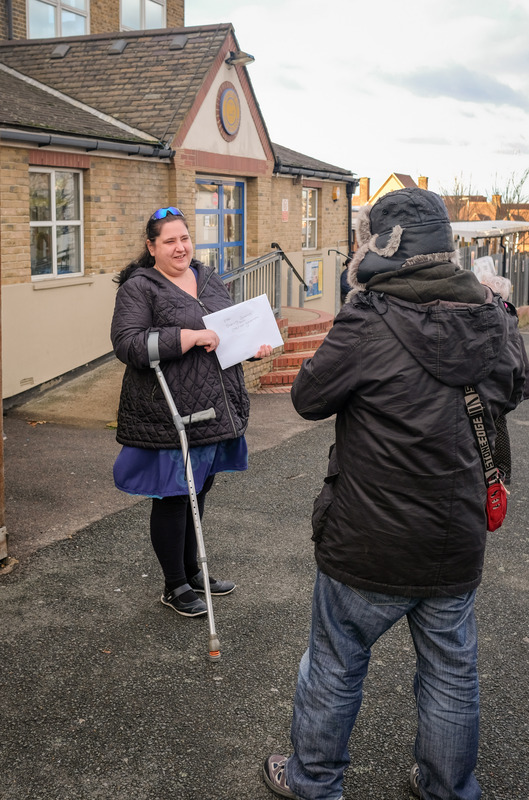 A Greenwich Council spokesperson told The Charlton Champion: “Cllr Gardner has played an active role supporting Sherington parents and staff wishing to remain as an outstanding community school. In this respect he has made some comments about comparative performance with an academy trust in Full Council and at a public meeting. He was asked to supply the thrust of his speech to parents which was then circulated. “On reflection, Cllr Gardner realised the words used in the letter of what he said at the public meeting should have been better chosen and apologised himself to the Leigh MAT [multi -academy trust] accordingly. The main issue being that Leigh acquired The Halley Academy on 1 March 2018 (the former Corelli Academy). GCSE results for Corelli College in 2018 belong to the former Trust which operated the school and not Leigh. The council did not comment on whether Leigh Academies Trust had complained about Gardner’s statement. The trust itself has not responded to a request for comment from The Charlton Champion. While Greenwich Council’s Labour administration has sought to present a united front over academisation, Gardner’s apology highlights the strains between different factions within the Labour group over the issue. Councillors and members on the left of the party are fiercely opposed to schools being taken out of local authority control and handed to academy chains that are directly funded by central government, and want the council to do more to oppose the likes of Sherington and John Roan schools becoming academies. But the council’s leadership, which is on the right of the party, has attempted to build bridges with the chains while criticising the government’s policy of forcing “failing” schools to become academies. Left-leaning members accuse the council of privately backing academies. A letter written by Gardner’s predecessor Miranda Williams to school governors in 2016 stated the council “has a pragmatic view on academies” and that schools “have benefited from the capacity created by school partnerships”. But last month, the council voed to “resist further academisation”. Gardner, who fits in neither camp, has attempted to bridge the two positions in what is widely regarded as an extremely difficult role. Parents at Sherington are fearing strikes as the row over possible academisation escalates. It was revealed in September that the school was talking to the Leigh and Compass academy trusts about joining them, and Rochester-based Leigh is now seen as the likely choice. Teachers have already written to its governing body outlining their concerns at plans for the school to explore joining Leigh. A mile away at John Roan secondary school in Blackheath, which faces becoming part of the University Schools Trust chain after a poor Ofsted rating, pupils have already lost two days of education because of industrial action, although plans for three more were called off last week.